Invigorate, rejuvenate and relax. Those are our only rules here at BodyPresence. I am committed to your ever-evolving needs and provide a peaceful and tranquil environment where every individual is honored. I am versed in multiple bodywork modalities and am happy to provide a rejuvenating massage in the intensity and duration that is ideal for you. Try multiple sessions so you can experience the benefits each modality provides or give the gift of a massage to someone who deserves the pampering too. Stimulates and encourages energy flow. Focuses on problem areas and acute or chronic injuries. Increases comfort during time of active change. Stress reducing and enhances relaxation response. Increases flexibility and enhances performance. M’lis is an incredibly talented healer. I’ve been seeing her for a few years and absolutely love her work. I’ve seen her for feel good massages, but mostly for theraputic massage to help with back and neck pains. 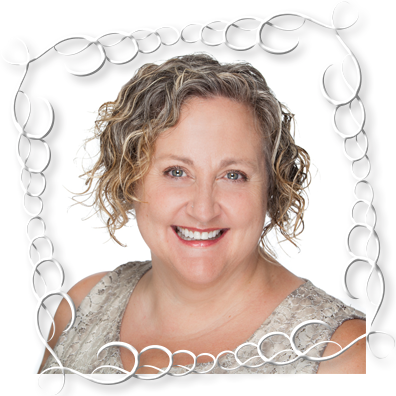 M’lis is passionate about her practice, and in helping her clients. You won’t find someone with a bigger heart or degree of care. I have a foundational belief that movement is life and every person is beautifully unique. I combine my intuition and technical skills to provide a touch that allows my clients to simultaneously release and let go. I bring a diverse skill set having worked within athletic, rehabilitation, and relaxation settings. 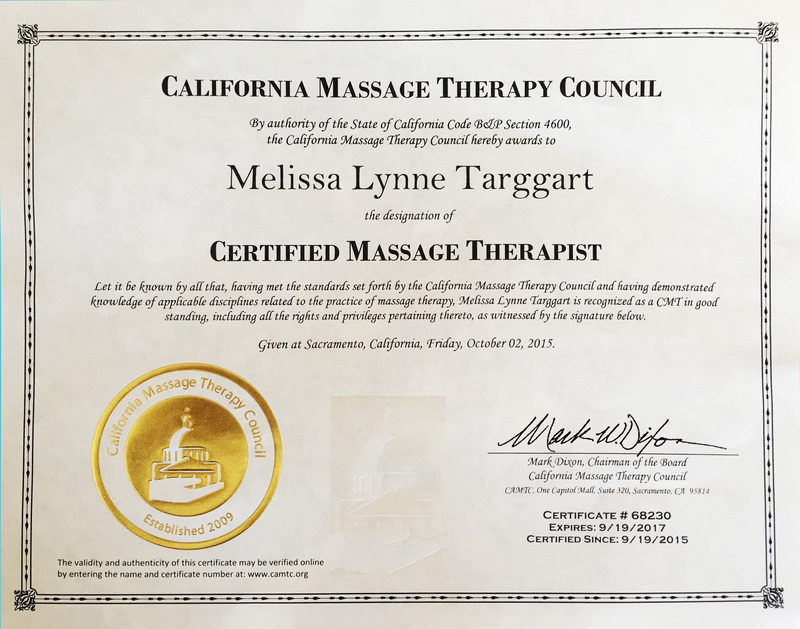 My passion is helping my clients feel physically and emotionally self-aware during massage and rejuvenited long after they leave my table. 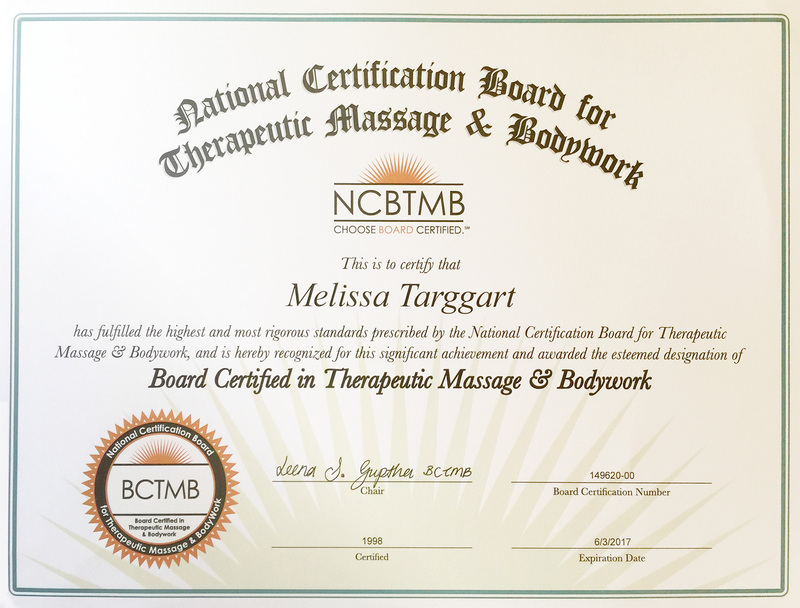 Board Certification is the highest voluntary credential attainable in the massage therapy and bodywork profession with a distinct level of achievement beyond entry-level – including more education, hands-on experience, and a background check. This way you can be assured that your massage will not only be soothing, but exactly what your body and mind need to heal.